A Happy Wife with a Happy Life: 6 Boxes and Hundreds of Noodles! 6 Boxes and Hundreds of Noodles! Maybe you are wondering what I'm talking about... well, I'm talking about OUR BRAINS! That's what we've got in our brains my friends! He has the ability to compartmentalize pretty much everything he is thinking about, and oh wait! I forgot that he has a "Nothing Box"! 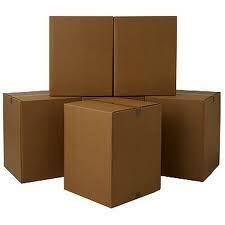 Men have nothing boxes ladies, where they can go and think about nothing, absolutely nothing at all! Gosh I wish I had a "Nothing Noodle"! I can't stop thinking, EVER! 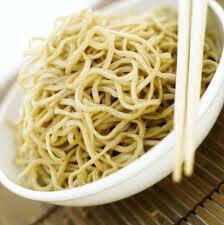 And all my thoughts are intertwined like that bowl full of noodles up there. At night, I lay in bed thinking about the silliest things... while hubby goes to that "Nothing Box" and sleeps! Praise God He has taught me so very much about how to simmer down and relax! Hubby and I were talking about all of this last night while we were going to bed. We laughed a lot as we bantered back and forth about the plusses and negatives to each others "brain types" all in love of course. This all feeds in to this new little project I am working on. A Bowl Full of Lemons! My challenge is to make a Home Management Binder. Thank you so much for becoming a follower of my blog! I am so excited that you did because I have enjoyed reading some of your posts already!! I will definitely be back (most likely on a daily basis, haha). We are so much alike it is unbelievable. I recently dealt with anxiety and thank God that I am slowly overcoming it. Looking forward to reading more posts! !